AAM wishes all our Muslim archiekins a very Selamat Hari Raya Aidilfitri! 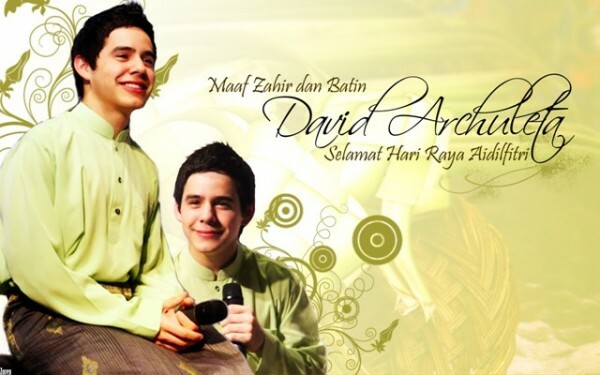 Found this beautiful Hari Raya wallpaper on David Archuleta Vietnam, made by Zaren 2 years back! We wish you a blessed,joyous time with family & friends! Travel safe & enjoy the holidays! Guess what? We are going to have our next ArchuGathering soon! This time to celebrate AAM turning 3 years old (where did those 3 years go?!) & we are also planning of watching a cartoon we think will definitely have David’s stamp of approval – Pixar’s Cars 2 😉 So many things in life to celebrate and be grateful for! The tentative dates so far are either the 3rd/4th September weekend OR the 9th/10th September weekend. We have not yet finalised which date and venue as we want to check the availability of most of you peeps first, so please do let us know in the comments below (or if you’re shy,email us!) on which date or weekend you’re available so we can start planning and get the ball rollinnnnn! 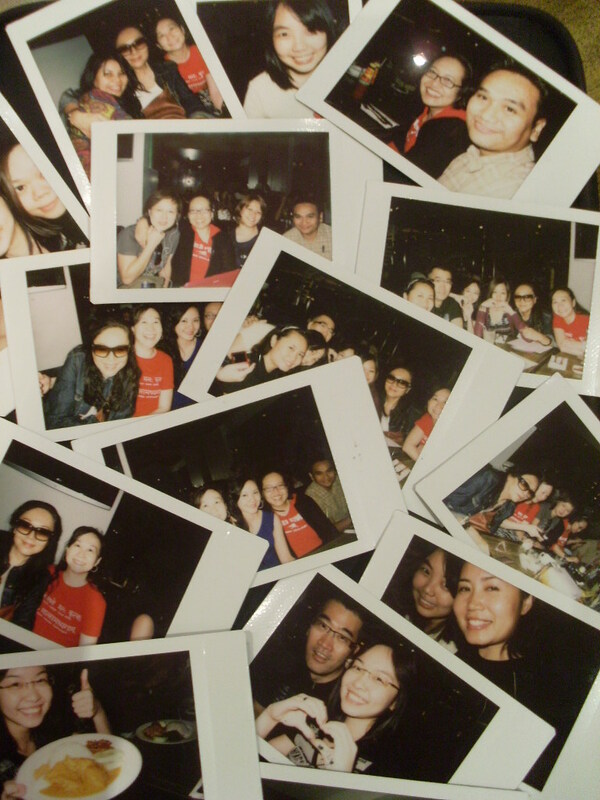 Can’t wait to meet up with everyone again and have a whale of a time like we did in the previous gathering! ** For all who have ordered the AAM t-shirts previously, the payment details have been emailed to everyone who ordered, so kindly check your emails. If the t-shirts are ready by next week, we can distribute them during the gathering. Thanks archiekins, have a GREAT weekend and holiday ahead! Exactly one month later, I still find it hard to believe i actually witnessed all this epicness of David Archuleta before my very eyes. p/s: Still can’t get over those air punches at 2:38. seriously. and that “looooveeeeeee” at 3:36.what even. pps: Just wondering what his reaction would have been if somehow a group of us had miraculously manage to break into a flashmob in the middle of it. now that would be interesting…. Wow, has it really been one month since David Archuleta’s epic concert in Kuala Lumpur!? Man, time sure flies and one thing’s for sure we’re certainly not over him! Things have been relatively quiet since the Asian tour and David is taking a truly deserved break before his next show and let’s not forget he’ll be coming back to Asia in October for the Japan show!!! Woot! #can’twaitforvideos! In the meantime, we thought we’d share some little titbits just to tie us over until then. Jeff also mentioned that although David was aware of his fans in Asia he apparently had absolutely NO IDEA about his sales here, so getting the 6 times platinum award given by Sony Music Malaysia was a real surprise to him J #mutiplatinumbaby!! We know this isn’t about the KL concert but just wanted to share that at the Indo concert, the crowd was still sparse during the performances before David but it started filling up the closer it got to D’s performance to the point that it was truly packed by the time D came on 🙂 #35kpeopleyo!! Also at the Manila concert, when Ben was talking to the fans after the concert, a cute older fan came up to him and said “I love your drumming”. Ben cracked up and called Steven to tell him about it lol! Please do share any stories, anecdotes, titbits that you may have below. In the meantime, let’s continue to vote for EAM on flyfmtop30 and requests for his songs on all the radio stations! Once upon a time there came unto earth a boy who was so glowy and beautiful the Angels wept the day he was born. “m-mama” and “d-d-dada” followed by the sweetest, infectious g-g-giggle – but they all somewhat culminated to an integral part of his goofy beauty. Anyway, no matter, his m-mama and d-dada adored him and so did everyone else who came in contact with him because he smiled all the way into their hearts. As a result, he was endearingly nicknamed “Smiley Boy”. Smiley Boy’s family, when he was little, was constantly on the move until they finally settled in a country where there were beautiful high mountains and quiet trails where one could take nice hikes. He was relieved because he was getting rather exhausted from helping his d-dada lug around the family trumpet. As he grew older, he developed an unquenchable thirst for music. So, as he smiled, he sang. He sang all the time…everywhere…and every song that had been written……..while he was in the shower…while rollerblading and running to school…while helping some dear ole neighbour rake leaves……..he sang to ducks and chickens and cats and goldfishes…but mostly he sang to people. Everyone flocked to listen to him and to gaze upon that smile. And to see for themselves how the heck he managed to do both simultaneously so well. Until one day……when his voice felt weak and tired. The unforgiving medical diagnosis was that one of his vocal cords had partially paralysed. He was devastated. He called out in despair to the Angels for guidance. “You called, Little Smiley Boy?” asked the Angel, a little bedazzled and taken aback by his glow. He was sad but continued to go to school, smiling as he did. The Angel was touched by his youthful courage and strength – so, while shedding a tear of compassion, she waved her heavenly wand and lo and behold, with an almighty flash, the heavens opened – a divine legislation was engraved in the miracles department of the heavenly charter, to reinstate this young man’s voice. Little Smiley recovered. And blissfully began to sing again. Every night he went on his knees and gave thanks. Then he decided to join a bootcamp – to learn the process of slaying the world – if you can! But before he did that, he called out to the kind Angel again. She descended upon him and decided to grant him 3 wishes. 1. He wanted to sing. 2. He wanted to eat. 3. He wanted to make people happy. The Angel was touched to the core by what he wished for. The bootcamp was tough-going. It was a place where they sort of incarcerated you within a small area…..gagged you vocally and emotionally…..frightened you into singing songs that made you forget the lyrics…..forced you to don outfits that embarrassed you (like shorts)…..and made you gesticulate to guitar moves which, I am certain, tested his guts no end. But Young Smiley tenaciously clung on. He was determined to slay the world before he was done. His rendition of a certain song called “Imagination” … or something like that 🙂 …brought the house/world down. – Who was this young man who could sing such amazing vocals and could smile such baby-sweet, yet seductive, smiles and send telepathic messages and form heart connections and bond people of different cultures and religions and instigate marriage proposals from sweet-young-things and incite everyone to swoon at his feet, without once blinking an eye and at least feeling responsible and a little guilty about it? Even the Angel gasped and gaped while uncomfortably re-adjusting her halo of knowledge and shedding a tear of perplexity. – So he broke forth and he sang and he sang. He sang with all his heart and he sang with all his soul. The Angel pricked up her angel ears and listened, shedding many tears of various sentiments, tapping her angel feet and flapping her angel wings in rhythm with his songs. – And he ate and he ate. Nothing short of suspicious-looking purple and blue mooncakes and alligator encased between 2 slices of sourdough. The Angel watched him savour and swallow each and every delicious mouthful and giggled – and wondered when he would ever have his fill. as if they were precious gold coins falling from Heaven. I have my own gold coin placed securely in my squiggly piggy bank, next to my heart, to be treasured for a long long long long time…..
What about YOUR gold coins? Share with us your happy gold coin stories which this astonishing Golden Boy has endowed upon you. The Angel, tears aside, is conducting a survey. 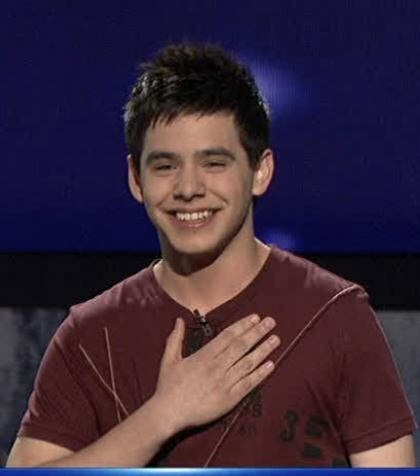 Remember when David would periodically put his hand on his heart as a gesture of appreciation to his fans on American Idol? We used to watch every week for that sign and would squeal with delight ( the girls anyway 😉 ) every time he did it on the show and even during the Idol concert that followed. It was the ArchAngels special sign and it’s kinda sad that he doesn’t do it anymore. I wonder if he still remembers the sign? Listening to this vblog, he talked about his fans; Marius, a special kid who has the brightest light, strong spirit; his ‘decompress’ with nature; his mum! You hardly hear him ‘promote’ himself. Great character!